Duran Duran in Montreal or Quebec City? Inform me about the next events for Duran Duran. Enroll yourself to our priority waiting list for Duran Duran to be alerted when new tickets are available. Filling this form doesn't engage you to any purchase. Duran Duran is coming back to Montreal on April 11th, 2016 for a concert that will take place at the Bell Centre. The last time Duran Duran visited Montreal was on October 23rd, 2011, also at the Bell Centre! 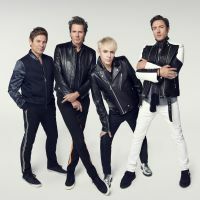 Duran Duran will be performing hits from their past as well as songs from their latest album Paper Gods. Furthermore, legendary funk band CHIC, led by guitarist Nile Rodgers, will be the opening act.